Korean media really does seem to like vampires. There are several series flying around – some I have managed to watched, others not as of yet. This, however, is a feature film rather than a series. It is not one that out-stays its welcome, indeed its 73 minute running time could have done with some expansion in order to build the character dynamics and add some dimension to them. Be that as it may, this is a gentle vampire romcom that sets itself up for a sequel at the end and isn’t overstuffed with either cast or plot. 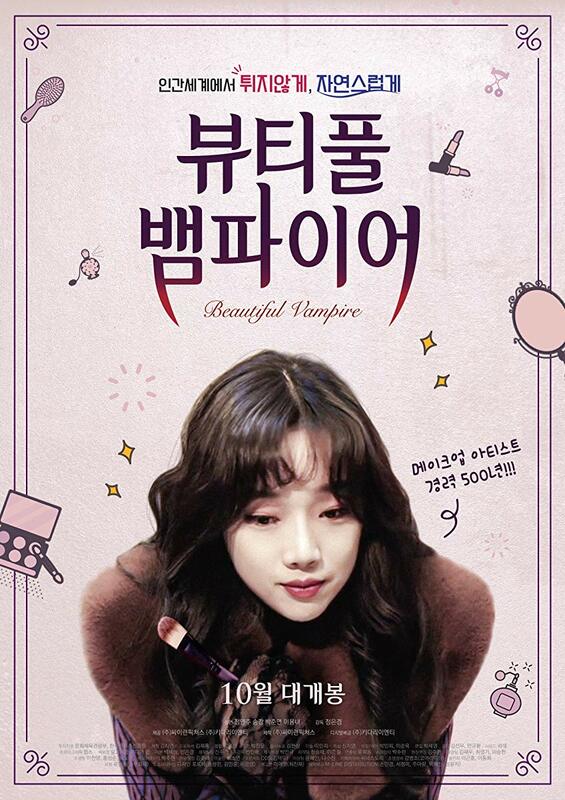 Ran (Jung Yeon Joo) is a 500-year-old vampire who is a makeup artist by trade but mainly keeps her self to her self in her rented shop. She has made a little den at the back of the shop, accessible via her wardrobe, in which she keeps a refrigerator filled in one half with bottles of animal blood and the other with sunscreen. Her only human contact seems to be the local butcher (Lee Yong Nyeo) from whom she buys animal blood (and offal, it would seem). That is, until her building is bought by a new landlady (Park Joon Myun) who puts her rent up by 300%. At that point Ran decides that she has to revitalise her business and starts handing out flyers and putting a board outside the shop – advertised dropped prices. 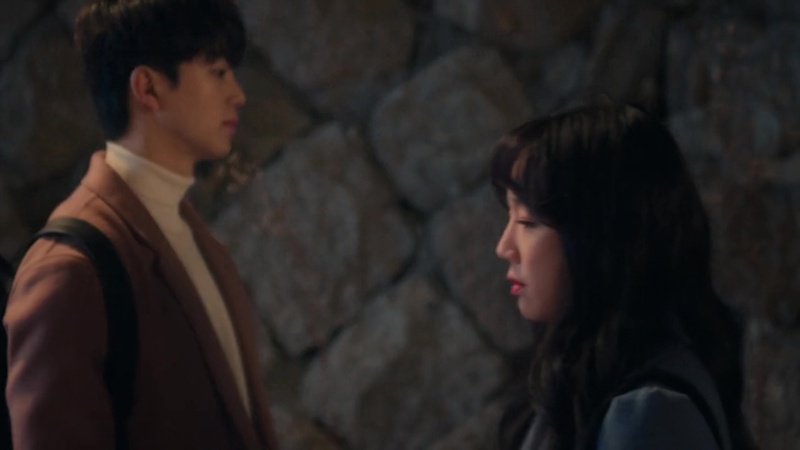 During this time a young man, Sonyeun (Song Kang), passes her in the street and she is immediately taken by the youth’s scent. It is the same scent as Jin Yi – a previous lover who, we later discover, died in Ran’s arms when she tried to turn her. The young man has just returned to Korea after a brief visit to the USA and wishes to be an actor. He attends her shop for makeup. So there is the maddening nature of his scent, the question of whether he is the reincarnation of Jin Yi (Ran doesn’t believe in reincarnation and we get the message later that this is not a reincarnated love story), their growing mutual attraction and the fact that it turns out that Sonyeun is the son of the new landlady. She is opposed to his new career aspiration as she had decided he would be in property like her (he was sent to the States in order to study their business models). And there's not a lot else to say about the story... as for lore garlic and holy items do not work but sunlight does burn a vampire. We don’t get a definitive lore about turning, other than it can go wrong and a bite does not necessarily turn. 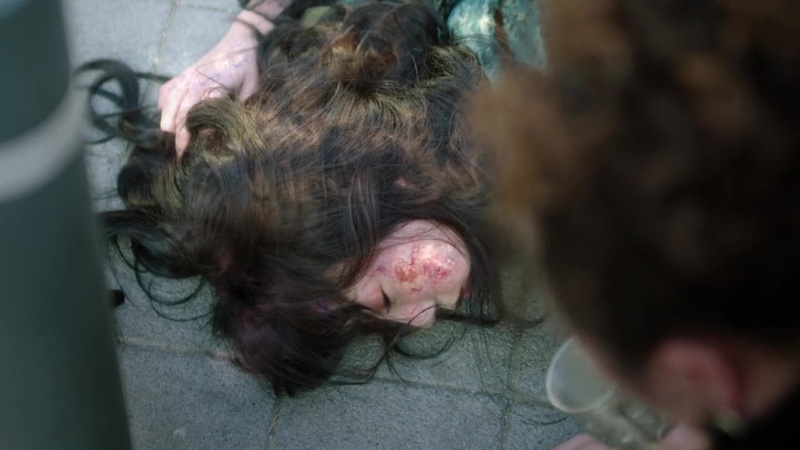 Ran is able to survive on animal blood (and has done so for some time) but the scent of Sonyeun really pushes her towards the human red again. Again we get little lore beyond this as this is very simplistic. How simplistic… there was an entire simile between the vampire as the outsider and racism – underpinned by Sonyeun intimating that he was racially bullied in the States. Yet that entire thread was mentioned in passing and then left. There is little in the way of non-acceptance in the actual story (the Landlady covers herself in garlic, picks up a cross and goes to confront the vampire until finding her burning in the sun and rescuing her). There just isn’t a huge amount of substance. And that might be fine, depending upon what you want. I have seen this described as cute, and it is... but I’d like something with more depth, even if it is ultimately just a gentle romance. It isn’t that this did anything too bad, it just didn’t do much special either. That said the two primary leads were both pretty, cute and personable and if you want some vampire romcom, Korean style, then this might be for you – just don’t expect any depth. 4 out of 10.